such brilliant execution. 😀 the fact that they actually involved the environment makes it even more interesting. “most credible ambassadors for sweetness — Ants”. 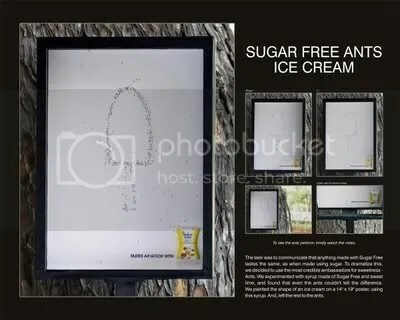 if the ants can’t tell the difference, Sugar Free Gold gives you the real ‘sweet’ deal (pun intended) minus the calories. this is even better news for diabetics! click on the image to see the enlarged version.